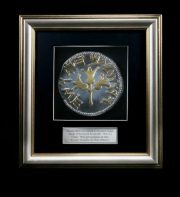 Ancient Silver Coin, minted in Jerusalem (copy). 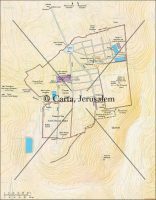 Sheqel of the Jewish revolt against the Romans (66-70 AD). In the center: Three Pomegranates on Stem. 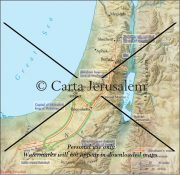 Around, in Hebrew: “Jerusalem the Holy”. Picture size: 11″ X 10″. High quality frame. Nice box. 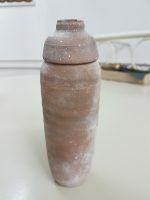 Pottery Replica of a DSS Jar. Including a rolled Replica of the Scroll of “The Ten Commandments”. This text of the Dead Sea Scrolls includes Psalm 126 and is dated to 30-50 AD. The psalm is one of 15 psalms headlined as “Song of Ascents”, describing the yearning for redemption and return to Zion. The reproduction is printed on high quality canvas, stretched on wooden frame. Ready to hang on the wall. Includes English Explanation about the scroll. “Behold, how good and how pleasant it is for brethren to dwell together in unity”. upgraded: New HD digital photograph, on light grey background, high quality wooden frame with glass. This fragment of the Psalms Scroll is part of one of the longer texts of the Dead Sea Scrolls. The scroll contains twenty eight incomplete columns of text, five of which are represented here including the text of psalms 133, 137, 138, 141, 144 and two non-canonical psalms. Psalm 133 opens with the famous phrase: “Behold, how good and how pleasant it is for brethren to dwell together in unity”. Includes English Explanation about the scroll. 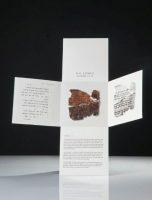 A digigraphic print, Museum quality, of the Scroll of Genesis, Chapter 1:1-11. 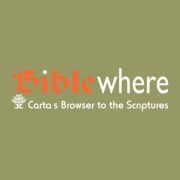 The print comes in a folder, including a transcription and a translation of the Biblical Text into English. Includes an explanation about the Scroll.